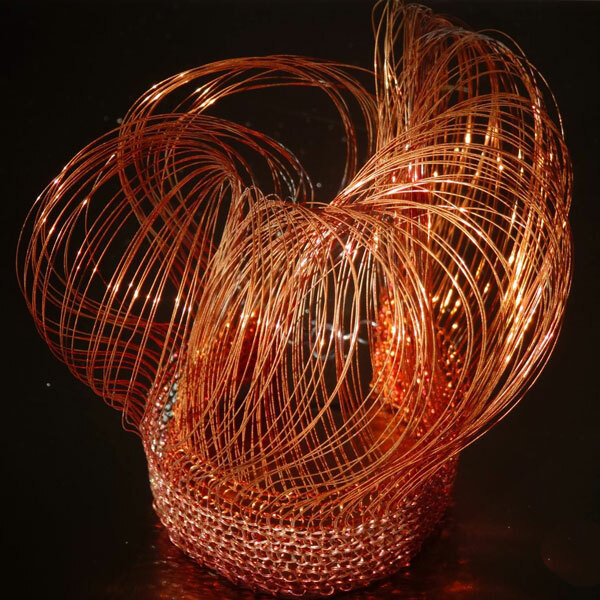 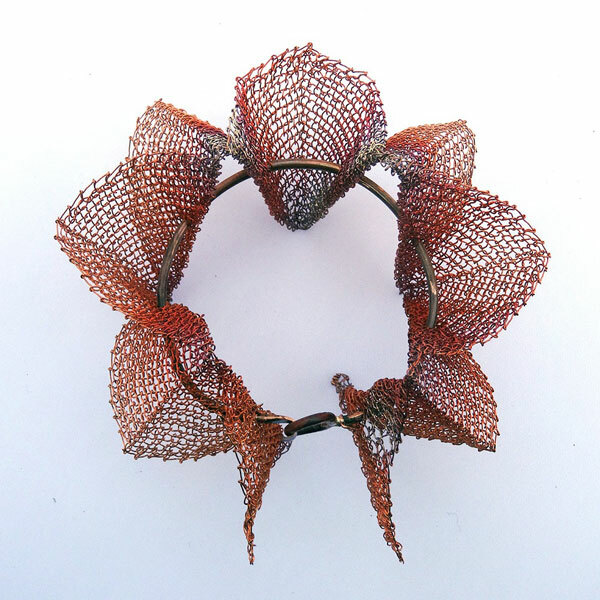 Sculptural textile jewellery created by knitting copper and silver wire to produce work that is tactile, unique and almost wearable art. 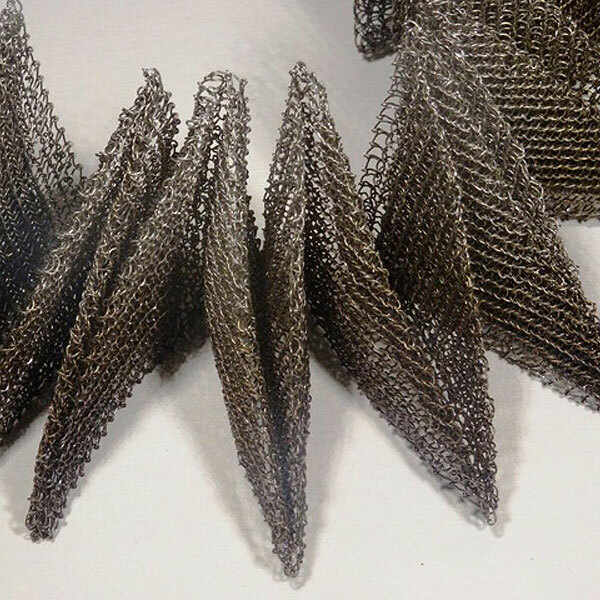 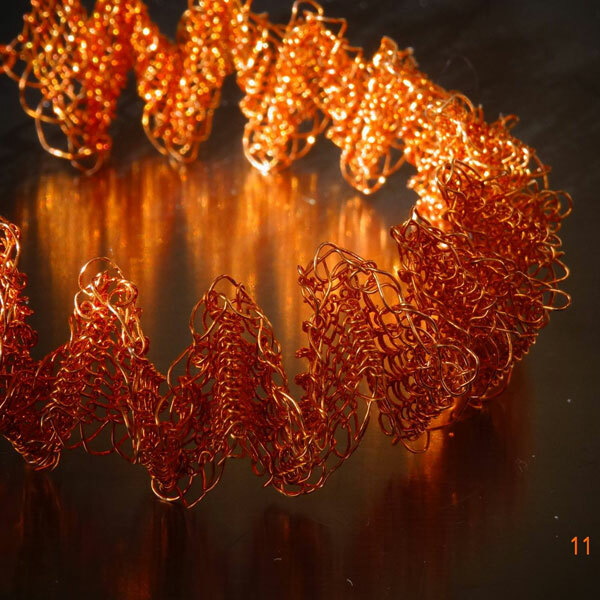 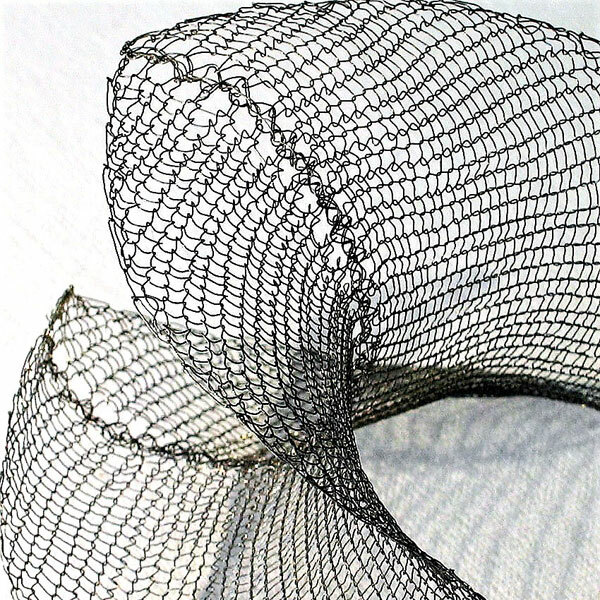 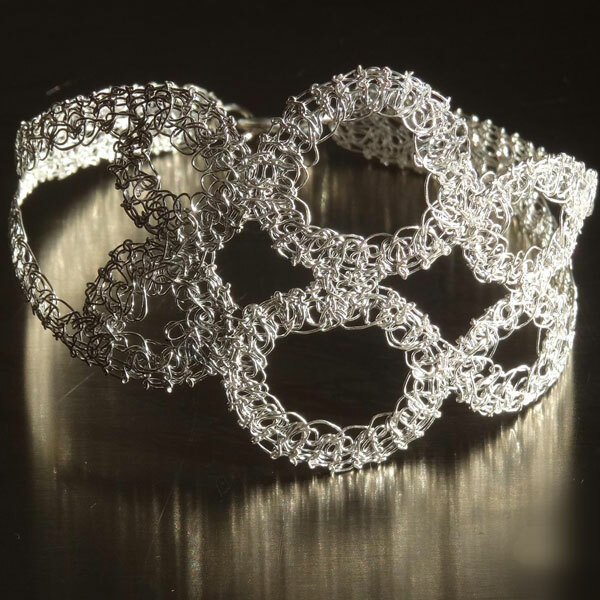 Knitted wire lends itself very well to manipulation which allows me great scope with folding and forming different shapes. 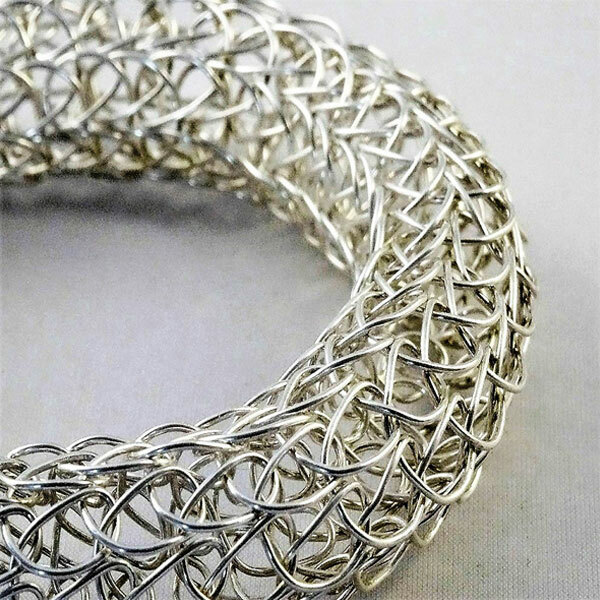 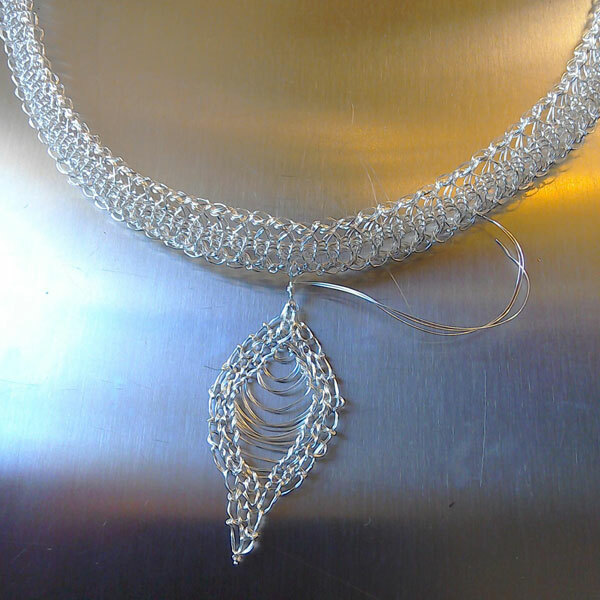 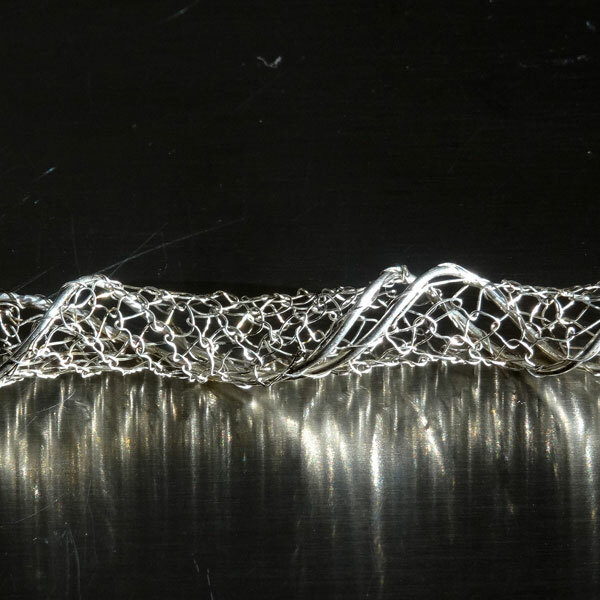 This year Alison will be combining my textile techniques with silver smithing to give the pieces even more structure and sculptural form.